GRAND RAPIDS, MICH., Oct. 5, 2010 – Only about a third of American women are meeting their fruit and vegetable intake recommendations,1 which means they are likely missing out on potentially important breast and ovarian health benefits. Along with vitamins, minerals and fiber, fruits and vegetables contain a type of phytonutrient called carotenoids, which research suggests help support women’s health including breast and ovarian health. Based on a new report called America’s Phytonutrient Report: Women’s Health by Color, older women have total carotenoid intakes 20 percent greater than younger women after accounting for differences in caloric intake. Similar to the original America’s Phytonutrient Report: Quantifying the Gap which found that on average eight out of 10 American adults are falling short on phytonutrient consumption, the new report revealed a troubling shortfall, this time among women and carotenoids. 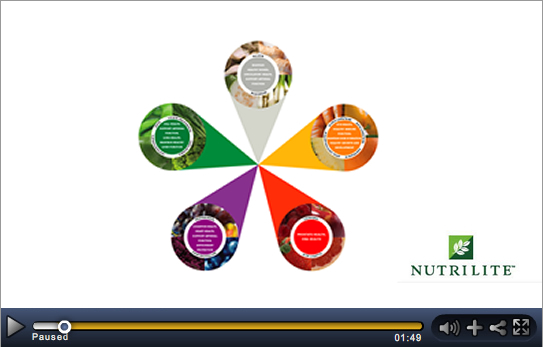 America's Phytonutrient Reports are released by The Nutrilite Health Institute, a worldwide collaboration of experts who are dedicated to helping people achieve optimal health – through research, education, and practical, personalized solutions. Nutrilite is the world's leading brand of vitamin, mineral, and dietary supplements, based on 2008 sales. Carotenoids are compounds that give fruits and vegetables their vibrant colors, which research suggests may offer breast, ovarian and other health benefits for women. Using NHANES energy-adjusted data to compare the diets of women 45 years and older with those younger, the report finds that many women of all ages lack carotenoid-rich foods in their diet, but the relative magnitude of the “carotenoid gap” is greater among women less than 45 years old as compared to older women. “This points to a troubling phenomenon where younger women may be missing some of the benefits of consuming more carotenoid rich fruits and vegetables, and yet calorie for calorie, older women are eating more of these important nutrients,” said Keith Randolph, Ph.D., Technology Strategist for Nutrilite. and, 10 percent more beta-cryptoxanthin. A growing body of research suggests carotenoids may be associated with protective benefits against certain cancers. The research points to an apparent lowered risk for breast and ovarian cancers among women of all ages who increase their intake of fruits and vegetables rich in various carotenoids including lutein/zeaxanthin, lycopene, alpha-carotene, beta-carotene and beta-cryptoxanthin according to Randolph. Spinach accounts for 33% of lutein/zeaxanthin intake among younger women and 31% among older. Tomatoes (and tomato products) account for 93% of lycopene intake among younger women and 89% among older. Carrots account for 76% of alpha-carotene intake among younger women and 73% among older. Carrots account for 33% of beta-carotene intake among younger women and 30% among older. Oranges (and orange juice) account for 61% of beta-cryptoxanthin intake among younger women and 60% among older. A serving of sweet potatoes has nearly double the beta-carotene as a serving of carrots. A serving of carrots delivers four times the amount of alpha-carotene as a serving of winter squash. A serving of fresh papaya has roughly 10 times the beta-cryptoxanthin found in an orange. “Just remember, small changes in the diet each day can add up to powerful changes over time. Older women may eat more carotenoids, but women of all ages are falling short. Diet is a lifetime of exposure and best we teach younger women how to eat right, up those carotenoids, and exercise more from the beginning,” says Hendel. 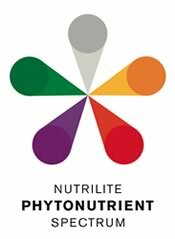 To see whether they have a “phytonutrient gap,” women can check out the Daily Phytonutrient Snapshot at www.nutrilite.com/color. Women will also find helpful online tools like the Phytonutrient Spectrum which brings to life the colors, health benefits and fruits and vegetables associated with select phytonutrients, including the carotenoids. 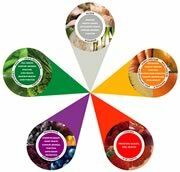 For further information aboutthe health benefits of phytonutrients, the America’s Phytonutrient Report series, and more practical tips visit www.nutrilite.com/color. 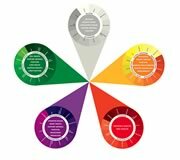 America’s Phytonutrient Report: Women’s Health by Color was based on analyses conducted by Exponent for Nutrilite Health Institute. The analyses were developed from dietary recall and health examination data from NHANES, surveys designed to assess the health and nutritional status of the U.S. population, and supplemental nutrient concentration data from the United States Department of Agriculture (USDA) and the published literature. The analyses were completed by Exponent for Nutrilite in July 2010. 1 State-Specific Trends in Fruit and Vegetable Consumption Among Adults – United States, 2000-2009. Centers for Disease Control and Prevention, MMWR, Volume 59, No 35. To unsubscribe, click here, or contact PWR New Media, 1614 Wilmette Avenue, Wilmette, Illinois 60091 or call (312) 924-4224.